Read what our students have to say about why they joined the firm and what their experience was like. The students describe Hicks Morley’s firm culture, their exposure to different areas of practice and the type of work they performed. Hicks excels at fostering a collegial environment amongst its student group. I have always felt supported by my fellow students. Taking after the firm culture, we strive to help and learn from each other so we can succeed as a group. Collegiality is a clear focus at Hicks Morley. The lawyers, no matter whether Partner or Associate, are always willing to assist with any question the students may have, but they are also constantly collaborating with each other. My office was located between two Partners this summer. They both frequently assisted both Associates and other Partners who dropped by their offices with questions about their specific areas of expertise, and they in turn reached out to other members of the Firm with their own questions. Everyone is very clearly part of the broader Hicks Morley Team, working together to address the clients’ needs. 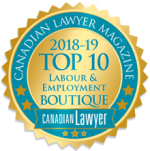 The breadth of the practice areas and industries offer incredible experience for any student who wants to work in labour and employment law. However, I found one of the most important factors that drew me to Hicks was the people. Not only are there opportunities to work with leading lawyers in this field, but everyone is personable, professional, and committed to involving students in work in a meaningful way. Hicks Morley is truly an open door firm. Whenever you have a question or need to bounce an idea off of a lawyer, they are always available and willing to help. I knew that as a management side firm a lot of files would be with the same clients but I did not fully comprehend how fundamental our practice is to their day to day operations. 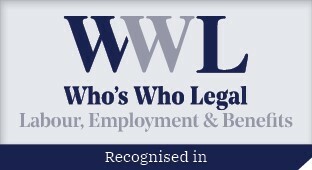 Our clients really rely on us to not only know the ins and outs of labour and employment law but also to understand how their business works from an industry perspective and to apply that knowledge to the unique circumstances of the particular employer. There are no formal rotations at Hicks, so you have the opportunity to seek out work in areas that most interest you. Everyone is so approachable, so it was very easy to reach out to lawyers in a given practice area, tell them you are interested in their work, and ask how you can get involved. One of the reasons I was attracted to Hicks was the litigation-centric nature of employment law, but during my summer I quickly learned that the firm has so much more to offer. In addition to litigation files, I worked on human rights matters, labour relations matters, labour arbitrations, a workplace safety and insurance presentation, a judicial review file and some pensions and benefits work. Attending the practice group meetings is a great way to get exposure to all the different things the firm does. During the summer I completed a variety of research and drafting assignments. At Hicks, the students are given tremendous ownership of their work. The lawyers place their trust in us and keep us informed as to how our assignments fit into the big picture. It was extremely fulfilling to both witness my research being used in proceedings as well as having my drafted assignments forwarded directly to clients. I’m confident that the exposure you gain at Hicks Morley is unparalleled. Tax, discrimination, defamation, social media misconduct, pensions, wrongful termination and sports law describe only a fraction of the diverse legal areas I explored as a summer student. Students are also seeing, firsthand, the files at all stages of progression, from beginning to end. In my short three months as a summer student, I attended nearly 20 hearings, motions, mediations and client meetings. 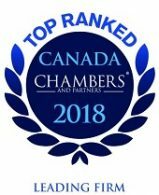 I was out of the office gaining exposure to lawyers advocating and navigating client relationships essentially every week, often two or three times each week. In the interview process, I was told that students would get out of the office a lot and that the firm was a great place to gain advocacy skills. This is 100% true. I’ve done a ton of advocacy work and have been out of the office at least once a week. This field of law is very people-centric, so I’m constantly interacting with people (meeting clients, interviewing witnesses, attending meetings). 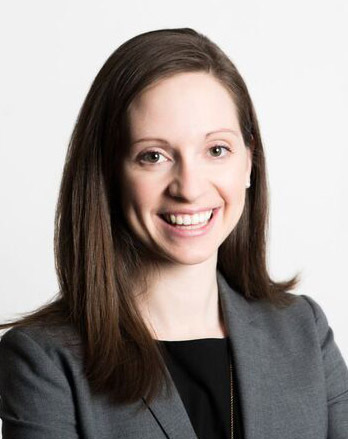 Throughout my summer, I completed several different types of work products, ranging from research projects, to drafting pleadings and oral arguments, to communicating directly with clients. At Hicks Morley, students also have the invaluable opportunity to frequently get out of the office and see the lawyers in action, joining them for hearings, discoveries, mediations, client meetings, and more. Getting the chance to see how my work was used from start to finish, from the moment I received the assignment, to watching a lawyer use my research in her closing argument at the Human Rights Tribunal, for example, gave me confidence and pride in the work I was doing. The best experience I had this summer was attending a hearing with a lawyer and hearing them use the research I had done for them in their arguments. What’s even better is that this was not a one time experience. At Hicks, students are given a lot of responsibility and ownership over their work. The lawyers trust us. We are part of the team and the work we do has meaning and adds value to the overall client service. At Hicks, I feel like I experience the close knit feel and level of responsibility you would expect at a smaller firm and at the same time worked on the types of files that would only be available with a larger firm’s resources. The experiences students get at Hicks Morley are unparalleled. Students are treated like valued members of the Firm, and are given responsibilities and assignments that are not only engaging and challenging, but are also incredibly important to the clients. The wonderful people at Hicks Morley make this a welcoming, fun, and rewarding place to work, and I’m very much looking forward to returning for my articles.